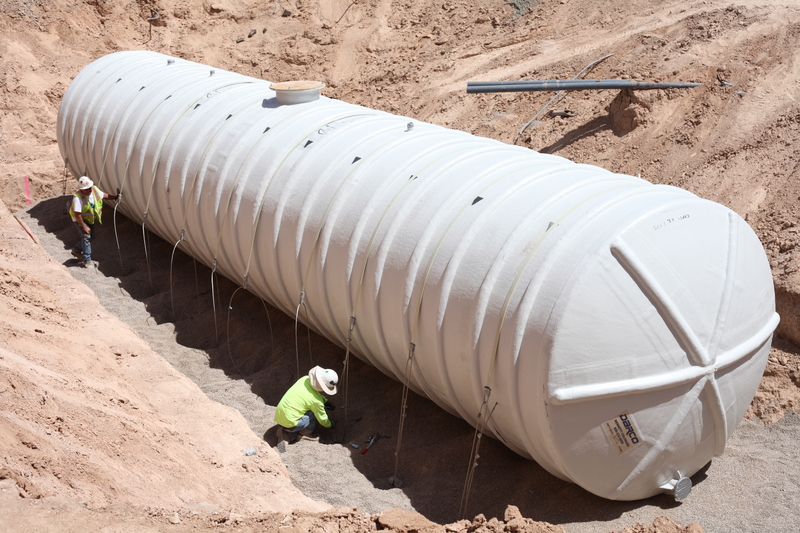 May, 2017 — BFL Construction recently managed the installation of a 30,000 gallon water harvesting tank at the Vantage West Credit Union Corporate Center Addition project in Tucson. This tank will collect all the roof runoff from the building. The water collected will be used to irrigate the landscaping at the property. The installation of the tank — which was put in place by crane — required the BFL Project Manager to precisely coordinate several specialty contractors and vendors.